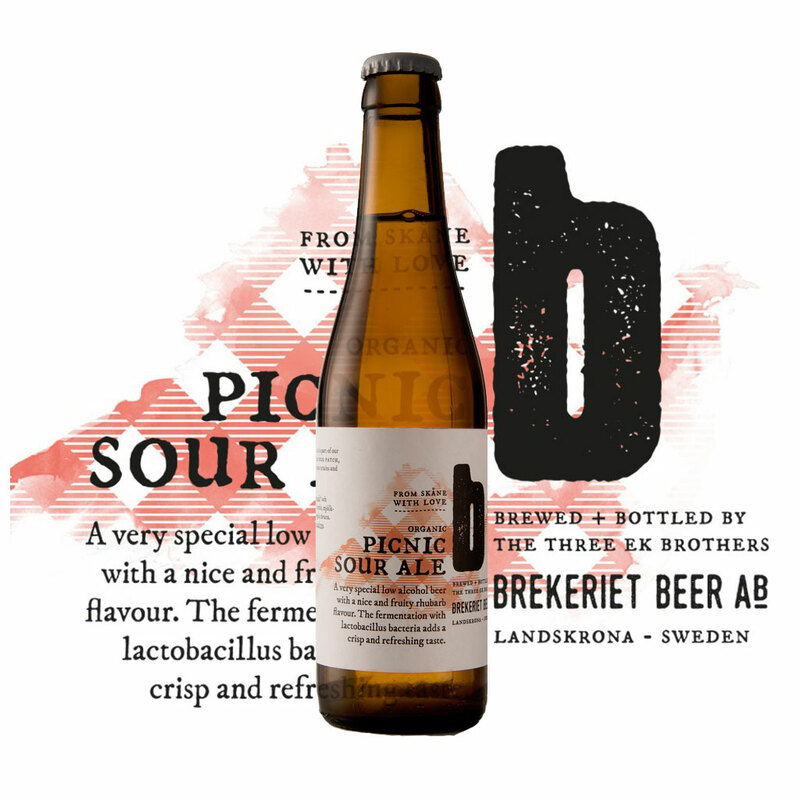 Here’s your cheat sheet for Picnic Sour Ale by Brekeriet, a small brewery in Skåne, the most southern part of Sweden. Brekeriet specialise in sour beers. In fact, they are the only brewery in Sweden to rely entirely on spontaneous fermentation to produce their beers. They also put many of their beers through a secondary fermentation with berries, fruit or “whatever we find interesting to try”. Featured in BeerBods Plus box 4 on 22 February 2018. Find the brewery on Twitter at @brekeriet and on Instagram at @brekeriet. Serve this beer at 10°C to 13°C; this means about an hour in the fridge in real money. As ever, be wary of over-chilling your beer. More chill means less flavour. To learn more read my post on recommended serving temperatures. Sour beers can be tricky when it comes to food pairings. You can use them to cut through fatty flavours like cheese (tangy blues or goat especially), or cured pork and other salty meats. They could also do well up against egg dishes or creamy sauces. They ought to find a pretty natural match with seafood – I think mussels in particular with their slight earthiness alongside the salty marine flavours ought to work well. It might also work contrasting the sourness with some very sweet flavours, perhaps a dessert with lots of sugar and berries. Read more on this beer from BeerBods and Brekeriet – although the info there isn’t as complete as you’ll find from other breweries.